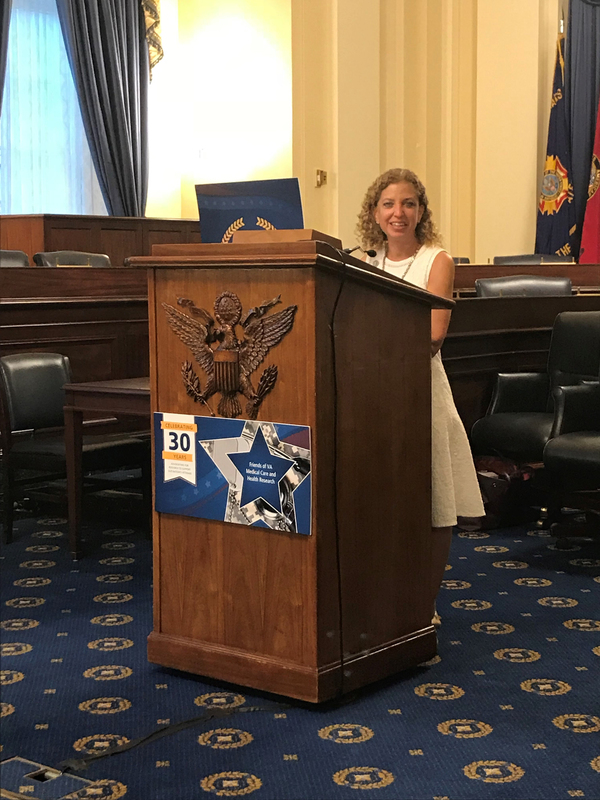 Thank you to those who were able to support and join us for the 30th Anniversary reception for the Friends of VA Medical Care and Health Research on Capitol Hill! The event was well received by VA and Congressional staff, and brought 70 attendees during a busy time for FY 2019 appropriations. We were thrilled to have the chance to hear remarks from Congressional leaders Rep. Phil Roe, MD (R-Tenn.) and Rep. Debbie Wasserman Schultz (D-Fla.), as well as VA health care and research leaders Dr. Carolyn Clancy and Dr. Rachel Ramoni. The event was covered in a piece published on AAMC News. 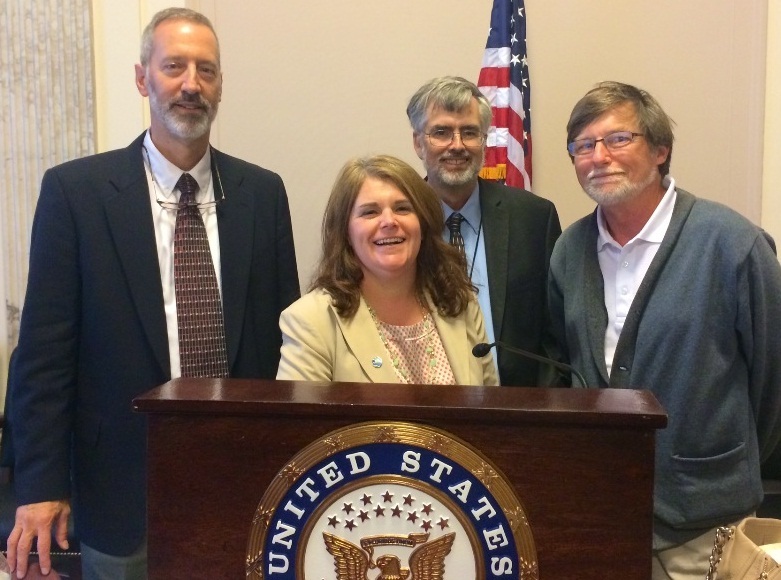 FOVA May 24 hosted a congressional briefing titled “Understanding Opioids and Chronic Pain: From Bench to Bedside.” Chief Research and Development Officer, Rachel Ramoni, DMD, ScD, provided opening remarks about the VA research program and state of the art work on chronic pain. Erin Krebs, MD, MPH of the Minneapolis VA and University of Minnesota presented her research on the effectiveness of opioids for chronic pain. Matt Bair, MD, MS of the Roudebush VA and University of Indiana highlighted eight ongoing VA-funded studies into chronic pain in combination with other health issues such as anxiety and depression. Sulayman Dib-Hajj, PhD, of the West Haven VA and Yale University, presented on basic research into pain signaling in neurons. More information on the briefing is published on AAMCNews. FOVA September 27 hosted a congressional briefing titled "The Science of Veteran Suicide: VA Research in Prevention and Intervention." 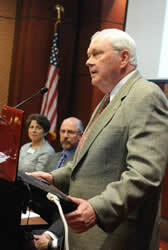 Deputy Secretary of Veteran Affairs Tom Bowman provided opening remarks at the briefing, which included several VA researchers. 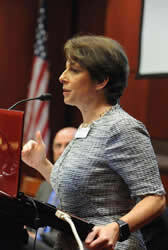 Lisa Brenner, PhD, director, Mental Illness Research Education and Clinical Center, Rocky Mountain VA Medical Center, discussed the link between veterans, Traumatic Brain Injury, and suicide. Wilfred Pigeon, PhD, executive director, Center of Excellence for Suicide Prevention, Canandaigua VA Medical Center, presented his research on the role of sleep in veteran suicide and prevention. Steven Dobscha, MD, director, Center to improve Veterans’ Involvement in Care (CIVIC), Portland VA Medical Center, examined the use of primary care screenings and smartphone apps in veteran suicide prevention. 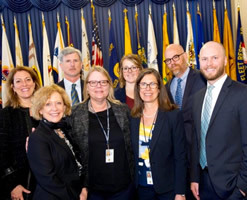 FOVA hosted a congressional briefing with in partnership with the Department of Veterans Affairs (VA) Office of Research and Development, hosted a May 16 congressional briefing titled “VA Research from Bench to Bedside,” in conjunction with National VA Research Week. The panel discussed ways in which VA-conducted or funded research can impact patient care to create a “learning health care system”—one that takes research, innovations in care coordination, integrated care and information technology and uses them to apply strategies at the provider and healthcare organization level to improve the quality of care and overall experience for veterans. 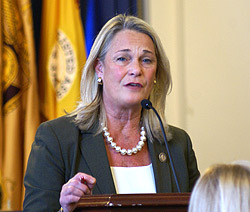 FOVA hosted a congressional briefing titled “Veterans Health Research: A Focus on Women,” featuring presentations from investigators funded by the Department of Veterans Affairs (VA) Medical and Prosthetic Research program. VA Under Secretary for Health, David Shulkin, M.D., delivered opening remarks, thanking FOVA and outlining the important strides VA research has made to improve care for women veterans. Elizabeth Yano, Ph.D., director of VA Health Services Research and Development’s Center for the Study of Healthcare Innovation, Implementation and Policy; discussed the acceleration and important progress advancing women veterans’ research over past decade nationally. Dr. Yano highlighted the Collaborative Research to Enhance and Advance Transformation and Excellence (CREATE) initiative to target critical areas of interest for Veterans healthcare, including implementation of comprehensive care for women veterans. Sally Haskell, M.D., deputy chief consultant, women’s health services, Veterans Health Administration; and associate professor, Yale School of Medicine, presented on the Women Veterans Cohort Study. Dr. Haskell noted that the study has resulted in over 25 published papers since 2009, on topics such as mental health, musculoskeletal conditions, reproductive health, Posttraumatic Stress Disorder (PTSD), and substance use. FOVA hosted a congressional briefing with VA Chief Research and Development Officer (CRADO) Timothy O'Leary, M.D., Ph.D., on the VA's Million Veteran Program (MVP), which aims to partner with 1 million veterans receiving care in the VA system to study how genes affect health. FOVA Executive Committee member and veteran, John Bradley, III, spoke about his participation in MVP. John Concato, M.D., Director, VA Clinical Epidemiology Research Center, VA Connecticut Health Care System, Professor of Medicine, Yale University School of Medicine, and MVP Co-Principal Investigator, presented an overview of MVP and its progress to date. VA Reception Honoring Joel Kupersmith, M.D. The FOVA Executive Committee presented VA Chief Research and Development Officer (CRADO) Joel Kupersmith, M.D., with a tribute as he stepped down after eight years of service, the longest tenure of any CRADO. 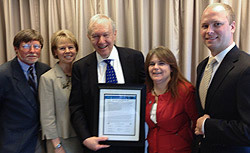 Read the FOVA tribute to VA CRADO Joel Kupersmith, M.D. The FOVA Executive Committee hosted a briefing for the FOVA membership organizations on the President's Budget, FY 2013 funding, and FY 2014 prospects. Speakers included Kathryn Van Haste, Professional Staff, Senate VA Committee; Ryan Pettit, Professional Staff, Senate Budget Committee; and Joel Kupersmith, M.D., VA CRADO. 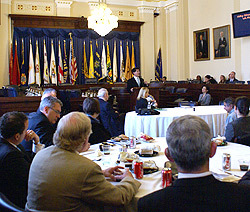 Program for "Briefing for FOVA Endorsers: Past, Present and Future"
FOVA Congressional Briefing:"Veterans’ Health Research: Improving the Lives of America’s Heroes "